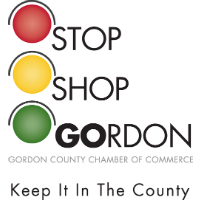 Keep It In The County is a shop-local campaign that the Chamber launched in 2009 and it’s been running strong ever since! Based on the concept of hometown spending and local loyalties, this signature program is endorsed by some of the Chamber’s most successful small businesses-- companies and organizations that recognize the need for growth but still value the relationships that helped them succeed. Keep It In The County. It matters.